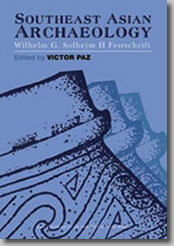 Gathered in "Southeast Asian Archaeology: Wilhelm G. Solheim II Festschrift" are original works and researches written on Southeast Asian archaeology to honor Wilhelm G. Solheim II. The impressive number of scholars representing almost all Southeast Asian countries and institutions in North America, Australia, and Europe, as well as the wide coverage in subject matter, is a testimony to the pivotal role Solheim played in the advancement of archaeology in the region. Contributors to the book include prominent figures in the field of archaeology such as Richard Shutler, Peter Bellwood, Charles Higham, and the National Museum's Wilfredo Ronquillo.